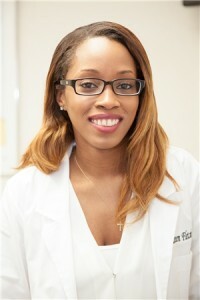 Careen Fletcher, DMD is a 2013 graduate of the University of Medicine and Dentistry of New Jersey/Rutgers University. She also completed a General Practice Residency at Wyckoff Heights Medical Center in Brooklyn, NY in 2014, where she had extensive operating room and emergency department experience treating patients with both acute and comprehensive needs. She has gained membership in the ADA (American Dental Association), the NYSDA (New York Second District Dental Society), the QCDS (Queens County Dental Association), and the NJDA (New Jersey Dental Association). She is also Invisalign certified and enjoys being able to restore beautiful smiles to her patients. Dr. Fletcher is known for her passionate dedication to diagnostic research, clinical excellence, and wonderful generosity of spirit. Her patients love her bright smile, contagious happiness, and ability to make them feel safe and comfortable.